Is there a lot of furniture and junk sitting around your house that you don’t use anymore? It seems like getting rid of your old furniture and trash isn’t going to be a big deal? That’s until you have to move it. 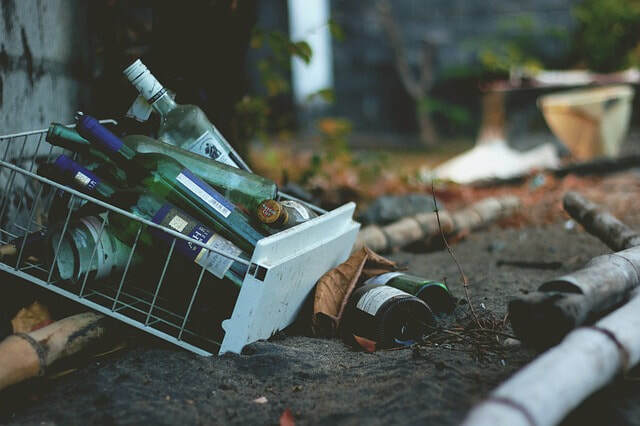 We’ve all been there with good intentions, however, as we start our junk removal process, the task as we find out can be somewhat strenuous. Furniture can be substantial, awkward, and can cause damage if not moved correctly. Here are some tips that will help you with getting rid of your junk. When it comes to junk? “One man’s trash is another man’s treasure”. Your junk may still hold some value, and if your furniture is in fair shape, you can resell it and get rid of your problem. You can run an ad on Craigslist or Kijiji for free that targets your local area and even some local newspapers offer free ad placement if you can write it within a maximum number of words they allow for junk removal. You can have a yard/garage sale to get rid of your junk, but you may not get the full resell value. Typically yard/garage sales are intended to keep the prices low to ensure you get rid of your junk. The best part about selling it this way is, when a buyer shows up, they usually have a truck and a helper to load the item. Which means in most cases you don’t have to lift a finger. Hiring a professional removal company is the best and fastest way to get rid of the items you want to go. It doesn’t matter whether it’s large, extremely heavy, old, and nasty. A professional junk removal company will be accustomed to any situation you may have, and they will dispose of the junk at local landfills or other recycling facilities. You don’t have to do anything but show them what you want to be moved. It’s just like that commercial where the homeowner just points while the removal man is standing next to them, they look and presto it just magically disappears? If things were that easy, we wouldn’t need to do anything but the point. However, life doesn’t work that. This is about as close as you’re going to get to a magic wand. Your furniture is old, and you don’t like it anymore? You can donate it to the Goodwill, Salvation Army or any thrift shops in town that take donations for the less fortunate. Most of the time they’ll take it off your hands if it’s not all ripped up, stained, or broken. Unlike a junk removal company taking it away for you, you’ll have to figure out a way to deliver it to them. They do not make house runs. Is your used furniture is old but in excellent shape? Are you thinking about changing the piece out for something different? An Antique store may be a good option for you. A unique way to market your furniture to an antiquities dealer is to have a story that goes along with the piece with some photos. Nowadays everything is done on Smartphones so just snap a few pics and send an email. If the Antiquities dealer is interested, he will make arrangements to came and picked it up. A lot of furniture is passed down through generations of families and has some great stories to go with them. They’ve been in the family for years, and no one wants to get rid of Grandma’s personal effects, so they pass them on to someone else in the family. Most times a little white lie about your reasons can make the recipient feel like they just hit the lottery. Play your cards right, and you can alleviate your junk removal process with this trickery.